Ramble House is always on the lookout for obscure and forgotten authors who have slipped through the cracks of literary history. Writers like Harry Stephen Keeler, Ed Wood, Jr., Norman Berrow, N.R. de Mexico, Joseph Shallit and Fender Tucker. But we also are proud to publish modern authors who prefer the gonzo style of modern-day print-on-demand publishing. 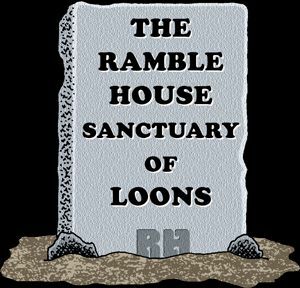 Eventually this section of the Ramble House Sanctuary will be the largest so keep an eye on these authors! Prices for these books -- most of which have garish, original picture covers -- vary from book to book. DAVID HAYES -- MUDDLED MIND: The Complete Works of Edward D. Wood, Jr.